Energized by social media, Russian teenagers protest Vladimir Putin’s regime, facing pressure from police, schools and their parents. Yaroslav, Pavel and Roman have lived their entire lives under Russian President Vladimir Putin’s rule. They are too young to vote, but want their voices to be hear ahead of the election in 2018, they joined the protest movement along with thousands of teenagers, responding to a video published by politician Alexey Navalny, the leader of the opposition to Putin. 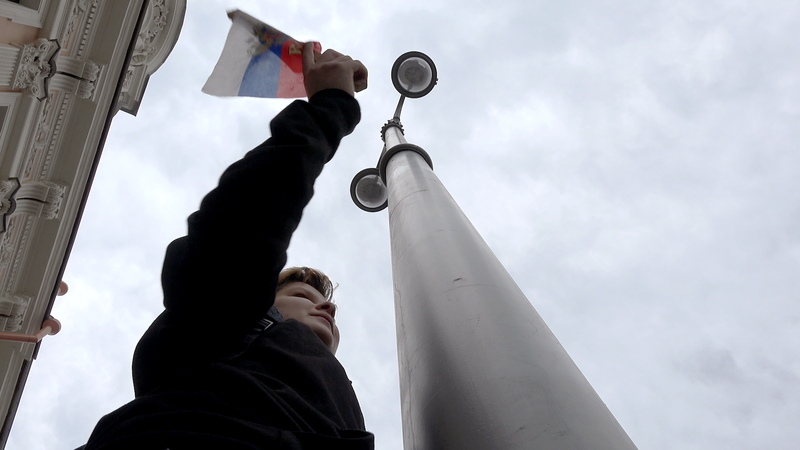 The energy of the new protesters shocked observers ​in Russia and abroad, but facing arrests, threats from their teachers and concern of their parents, the teens​ find they ​have to make a choice – if the stakes are too high to continue their activism. Olga Slobodchikova is a Russian documentary filmmaker and video journalist. Before coming to NYU to focus on for long-form visual storytelling, she worked as a bilingual correspondent at the BBC and interned at the New York Times in Moscow. Throughout her career, she covered topics ranging from politics to culture and sport. Both in Moscow and New York, Olga has been interested in new social and cultural phenomena and stories of people overcoming challenges and injustices.